Here is a map displays territory of Russia. topographic map of Lesnoy with gps calibration here. actual map of Sozimskiy displayed. free map of Yagodnyy download for free. topographic map of Velikopol'ye calibrated free download. 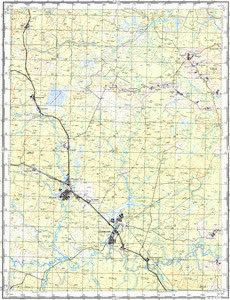 free map of Sotsgorodok download for free. map of Sorda 1 cm to 1 km for gps. map of Sen'kina Pozhnya with gps calibration displayed. detailed map of Gidayevo 1 cm to 1 km for gps. map of Brusnichnyy free download. free map of Bezgachevo calibrated displayed. detailed map of Kozitsyno with gps calibration free download. map of Smolino download for free. topographic map of Chanilovo for gps. map of Gushchino calibrated here. actual map of Zheleznodorozhnyy here. topographic map of Kozidvor calibrated this. topographic map of Gilevo calibrated for gps.